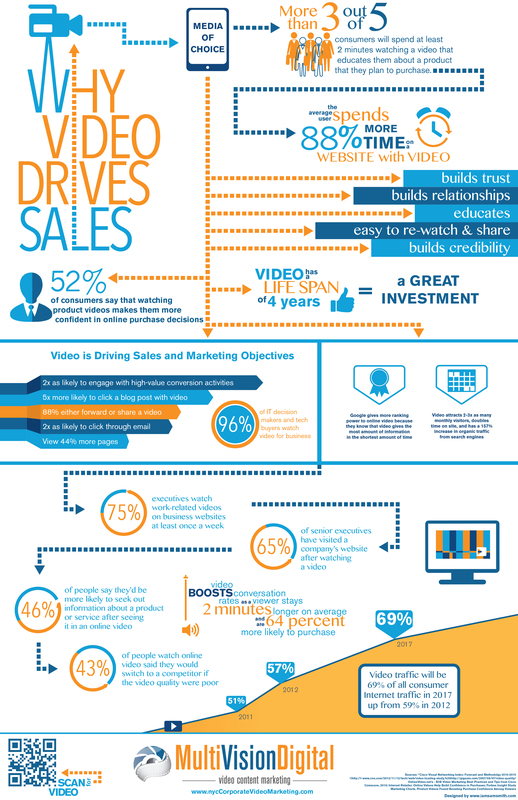 The good folks at MultiVisionDigital published the infographic below to put into perspective how the omnipresent video is affecting consumer decision-making and behaviour. If you are trying to sell products or services, you may want to add video to your online strategy (if it isn't there already) as consumers are 64% more likely to purchase a product after watching an online video. The most unexpected finding was that video has a lifespan of 4 years. That's an eternity. Considering that the average lifespan of a Facebook post is 3 hours and 7 minutes, a four-year shelf-life for a video is astounding. To put it in perspective, exactly 4 years ago, on the date this post was published, Taylor Lautner was hosting Saturday Night Live making jokes about Kanye's stage crash of Taylor Swift at the 2009 VMAs...but you know what, I still like that Kanye video so the 4 year lifespan checks out.